Last week’s economic news included reports on job openings, retail sales and weekly readings on average mortgage rates and new jobless claims. Job openings were lower in August after hitting an all-time high in July according to the federal government. Job openings fell to 5.44 million in August as compared to July’s reading of 5.83 million job openings, Job openings reached 5.31 million in August of 2015. Job quits were unchanged in August with a reading of 3.0 million quits; the quits rate was 2.20 percent. There were 5.4 million hires in August as compared to 5.8 million hires in July. The hiring rate held steady at 3.60 percent. Weekly jobless held steady from the prior week’s reading of 246,000 new claims, although analysts expected a reading of 252,000 new claims. September retail sales increased by 0.60 percent in September and fell short of expectations of 0.70 percent growth. August’s retail sales reading was negative at -0.20 percent. Retail sales excluding the automotive sector were as expected with an increase of 0.50 percent. Freddie Mac reported higher rates for fixed rate mortgages. The rate for a 30-year fixed rate mortgage rose five basis points to 3.47 percent. The average rate for a 15-year mortgage was four basis points higher at 2.76 percent. 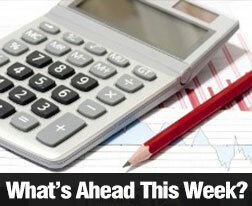 The average rate for a 5/1 adjustable rate mortgage was unchanged at 2.84 percent. Discount points averaged 0.50 percent for fixed rate mortgages and 0.40 percent for 5/1 adjustable rate mortgages. Consumer sentiment was lower in October with an index reading of 87.90 percent. Analysts expected a reading of 91.70 percent based on September’s reading of 91.20 percent. November’s presidential election was viewed by analysts as unsettling to consumers’ feelings about current and expected economic conditions. The index reading for consumer sentiment for current economic conditions rose from 104.20 percent in September to 105.50 in October, but fell sharply for expected economic conditions to an index reading of 76.60. Analysts noted that consumers with lower incomes expressed less assurance about post-election economic conditions. This week’s scheduled economic reports include the NAHB/Wells Fargo Home Builders Market Index, Sales of Pre-Owned Homes and Commerce Department readings on housing starts and building permits issued. In addition to weekly readings on mortgage rates and new jobless claims, reports on consumer spending will also be released.